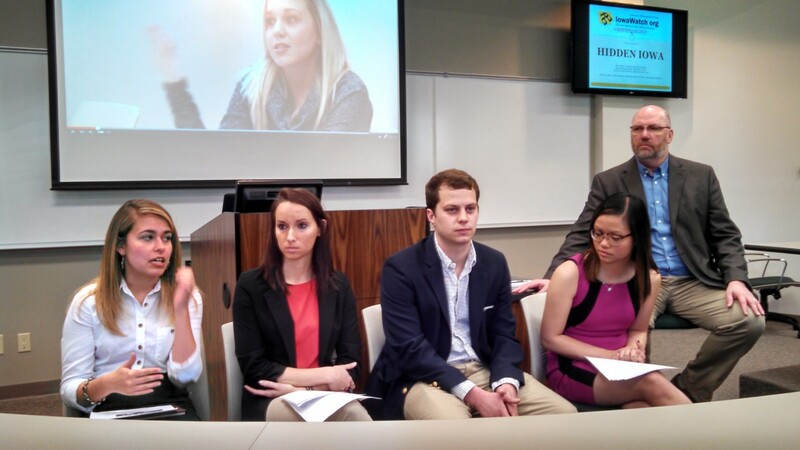 Journalism students at Simpson College produced an IowaWatch series on Hidden Illnesses on Campus and hosted a forum in Indianola in April. Thank you for helping us celebrate our fifth anniversary in 2015. This one-time experiment has published more than 290 explanatory and investigative, multimedia stories at IowaWatch.org and share those stories with others. 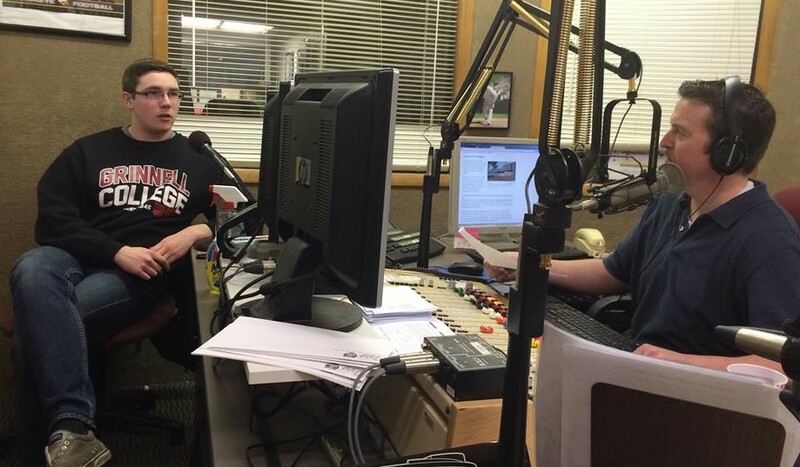 Stephen Gruber-Miller, an IowaWatch intern during summer 2013, spoke on KXIC radio in January this year about his Opportunity Gap stories. Gruber-Miller now works at the Iowa City Press-Citizen. IowaWatch is on KXIC's morning show every third Tuesday. Through November of this year 41 Iowa newspapers, 25 radio stations in our IowaWatch Connection radio network, two commercial television stations, Iowa Public Television, Iowa Public Radio and 52 news websites have republished or aired 33 IowaWatch stories 1,319 times. Our stories will be published or aired at least 100 more times in December. Most of these stories have come from student journalists from Iowa college campuses who have trained with IowaWatch and who now are productive professionals. We also taken their journalism on the road, engaging audiences this year during forums in Iowa City, North Liberty, Coralville and Fairfield and are mapping plans for more visits to explore issues important to Iowans. One project to look for in 2016 – a key role for IowaWatch in an observance of the Pulitzer Prize’s role in Iowa history that Humanities Iowa is funding with a National Endowment for the Humanities grant. We have collaborated with students at the University of Iowa, Simpson College, Iowa State University, the University of Northern Iowa, Drake University, Cornell College, Loras College and Grinnell College in 2015, giving them a chance to find out how much impact they can have with their journalism. Plans are being made with journalism classes at Simpson, the University of Iowa and, hopefully, other universities in early talks with IowaWatch for 2016 partnerships. Finally, we are excited about the Society of Professional Journalists asking IowaWatch to host one of two summer SPJ Region 7 reporting fellows in 2016. Grants from the Ethics and Excellence in Journalism Foundation, the John S. and James L. Knight Foundation, the Community Foundation of Johnson County and The Gazette Company have supported our work in 2015. Perhaps most gratifying, though, is that many of you helped grow our list of personal donors this year. Your donation to our center can be a strong indication to organizations that think highly enough of IowaWatch to fund us that their continued support is worthwhile, appreciated and necessary. Please consider that gift now by going to this link.